Strela Teen: Leitura Show: My Even More Wonderful World of Fashion! Leitura Show: My Even More Wonderful World of Fashion! Há algum tempo eu já tinha falado que havia ganhado dois livros importados, um deles eu já mostrei aqui em outro post e agora vim mostrar o segundo livro que ganhei de Natal! 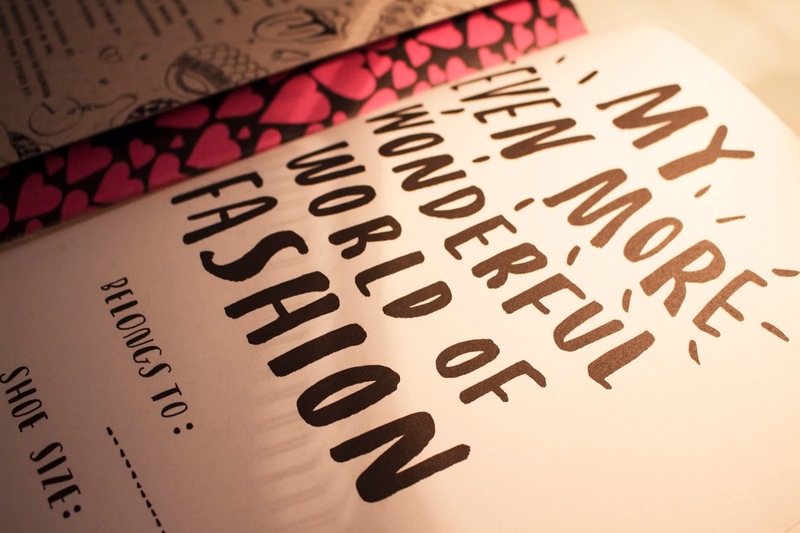 O livro é "My Even More Wonderful World of Fashion" da ilustradora Nina Chakrabarti. Ele não é um livro comum: é um livro interativo sobre moda! O objetivo do My Even More Wonderful World of Fashion é estimular a criatividade criando desenhos e colorindo. Além disso você ainda pratica sua habilidade e se apaixona por todas as ilustrações do livro. 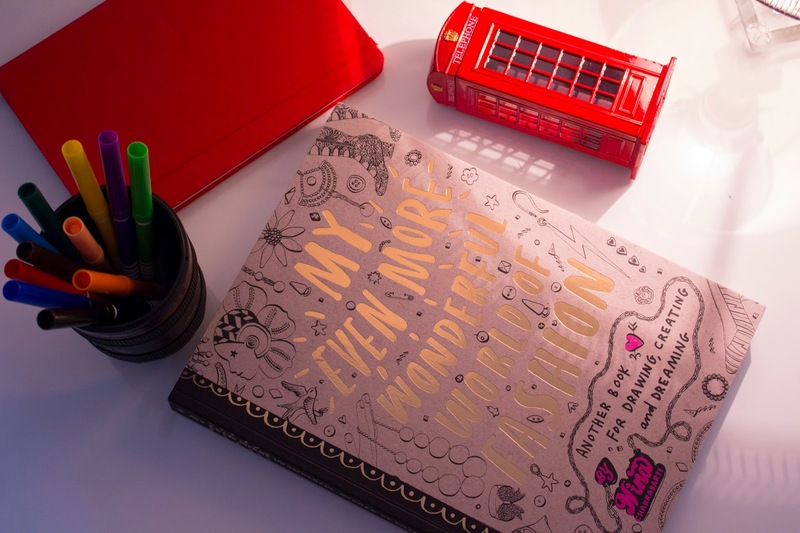 O "My Even More Wondeful World of Fashion" faz parte de uma série de livros sobre moda e é impossível não se apaixonar por ele! Ele está a venda no site da Saraiva por R$91, já que é um livro importado e interativo. Some time ago, I had spoken that I had won two imported books, one of them I have already shown here in another post and now I came to show the second book I got for Christmas! 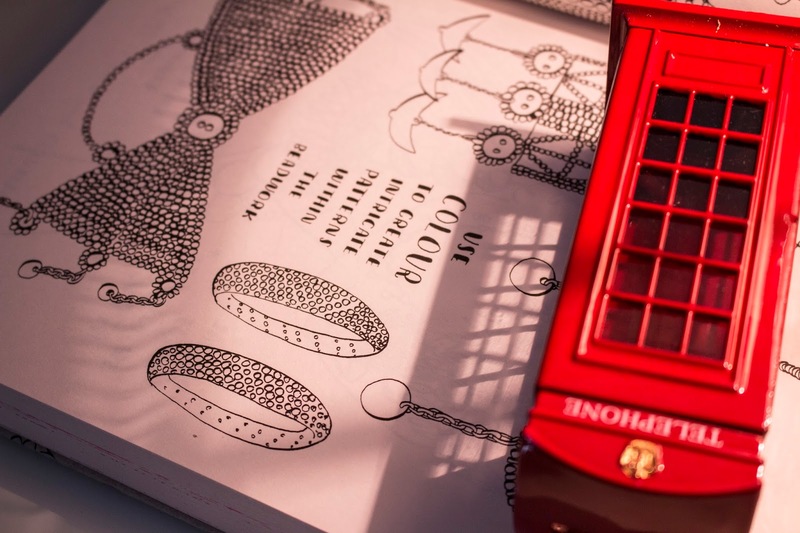 The book is "My Even More Wonderful World of Fashion" of the illustrator Nina Chakrabarti. He is not a normal book: it is an interactive book about fashion! The goal of My Even More Wonderful World of Fashion is to stimulate creativity by creating drawings and coloring.In addition you still practice your skill and falls in love with all book illustrations. 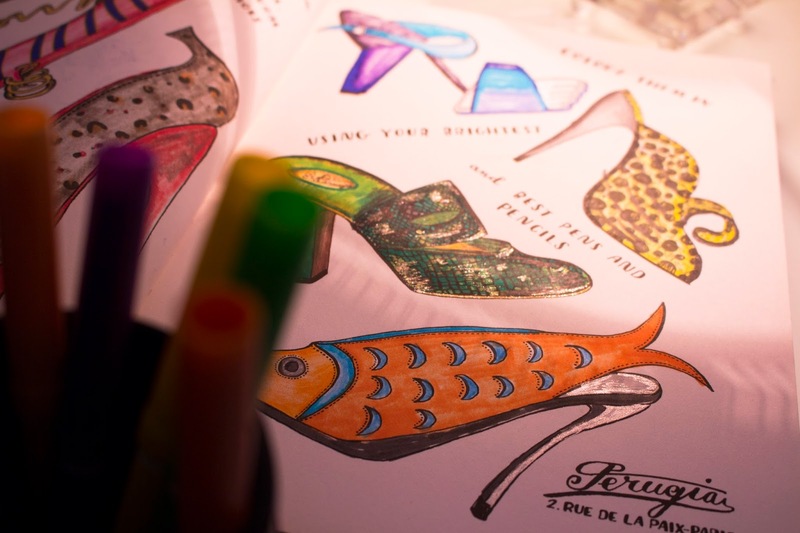 The activities are written in English, as the Nina, author and illustrator of the book, is English and it has shoe illustrations, hats, and the book itself bring women who have marked the history of fashion and styles over the years. My favorite parts of My Even More Wonderful World Of Fashion, undoubtedly, are those that bring hairstyles of famous characters in history, as Cleopatra and even Princess Leia. The "My Even More Wondeful World of Fashion" is part of a series of books about fashion and it is impossible not fall in love for it! It is for sale in Saraiva's site for $ 91, because it is an imported and interactive book. Os livros dessa coleção são tão fofinhos! Eu espero que goste, Lakota! Que bom que gostou, Brunna! Fico feliz que tenha gostado!